Hardwearing – concrete, once completer cured or dried, is one of the hardest materials known to man. It last for a long time, with a concrete screed floor lasting a lifetime. If mixed and laid correctly, it can withstand all kinds of use and heavy traffic. Robust – as a hard material, there is very little that can damage a concrete floor, especially in a domestic or commercial setting. For industrial applications, the concrete screed mix contains additional ingredients to make it even stronger. Easy to maintain and clean – a concrete screed floor requires very little in the way of maintenance and cleaning it is easy too. Warm water with a neutral detergent is all that is needed to keep the surface hygienically clean. Customisable – a concrete screed floor does not have to be grey, bland or boring. With various treatments, should as the addition of colour with a dry shake system, deep and vibrant colour can be added. In fact, concrete floors can be completely unique to your home or business. Concrete screed is not only used for flooring. It has been traditionally used as a structural topping on large buildings. It is now also frequently used on top of polystyrene ‘beam and block’ systems to the structure of a building. We may also be able to fill concrete polystyrene walls at the same time as the floor installation, saving you money on your project. Concrete screeds floors are also ideal for use with floor heating systems. Concrete Screed is pumped or discharged from the supplier’s truck and levelled using laser technology, steel rules and trowels. Advances in design mean that some concrete products can be finished using dapple rails for a flatter surface finish. In most cases, minimum depth should be 100mm for light domestic foot traffic and slightly deeper at 150mm for commercial light foot traffic. For heavy footfall areas, such as schools, colleges or shopping malls, please contact our team for further advice. We recommend a minimum drying time of 24 hours for foot traffic areas. Concrete dries at a rate of approximately 1mm per day. This is a guide only and once your floor is installed, our skilled team will advise you further. 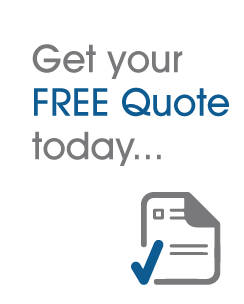 Why order from Midland Flooring? We take pride in providing the best solutions for your project, and within budget too.